Is H.264 lower quality? Even Avigilon now says no, but many still argue yes. So, which one is which? Both images are from the same camera set to the same bitrate / bandwidth (1 Mb/s). Image A was captured with the CODEC set to MJPEG, while Image B was captured when set to H.264. They are both cropped from a 720p shot of a conference room wall. The key issue is that we fixed the bandwidth. When bandwidth is locked, the compression level of any CODEC needs to adjust (this is the basis of CBR). When bandwidth is low like we did here, the compression levels must go higher (i.e., quality goes down). Why is H.264 Better Quality Here? Many assume that H.264 compression is higher and that MJPEG delivers either uncompressed or low compressed video. This is not the case. All CODECS compress video. The key difference is how 'smart' the CODECs are in compressing. MJPEG only compresses individual frames (intra-frame compression) while H.264 compresses across frames (inter-frame compression) as well. Becuase H.264 can compress across multiple frames and find what stays the same over time, it can more intelligently reduce bitrate without impacting quality. 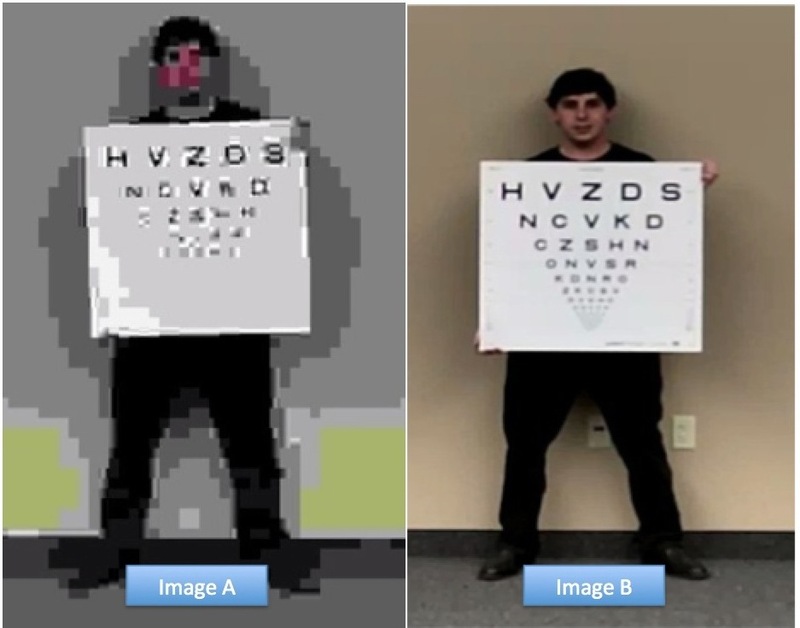 This is why MJPEG's quality is so much worse in this example. Comments (33) : PRO Members only. Login. or Join.